After a 7-9 campaign in 2012, the Miami Dolphins are seeking to reach the playoffs for the first time since winning the division in 2008. 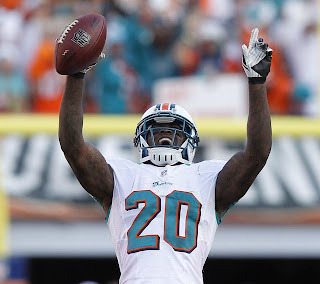 This offseason, the Dolphins made a number of big changes including big free agents signings such as Mike Wallace, Philip Wheeler, Tyson Clabo and Dannell Ellerbee. Wallace, Wheeler and Ellerbee have all played in Super Bowls while Clabo was one game away last season with the Atlanta Falcons. 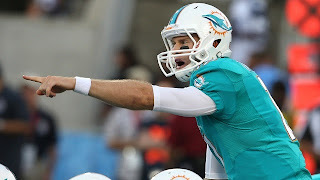 Despite his mobility, Ryan Tannehill was the eighth most sacked quarterback in the NFL in 2012. The offensive line has a new look with the addition of Clabo and the subtraction of Jake Long. Jonathan Martin, a second-year player from Stanford, will be tasked with protecting Tannehill's blind side. Miami has surrounded Tannehill with new weapons in receivers Mike Wallace and Brandon Gibson and former Jets' tight end Dustin Keller to help compliment last season's leading receiver Brian Hartline. But for Tannehill to utilize his weapons, the offensive front will have to keep him upright. The Miami Dolphins' offensive line may have a new look, but so does the backfield. Reggie Bush, who averaged better than 1,000 yards rushing and was Miami's leading rusher in each of the last two seasons, is now in Detroit. Replacing Bush will fall in the hands of second-year speedster Lamar Miller and underachieving power back Daniel Thomas. Between the two, Miller and Thomas have just 1,156 yards rushing in three combined seasons of work. If the Dolphins are to reach their full offensive potential, they cannot allow opposing defenses to sell out on the pass. This preseason, Miller and Thomas have combined to rush for 51 yards on 12 carries, a 4.25 yards-per-carry average. 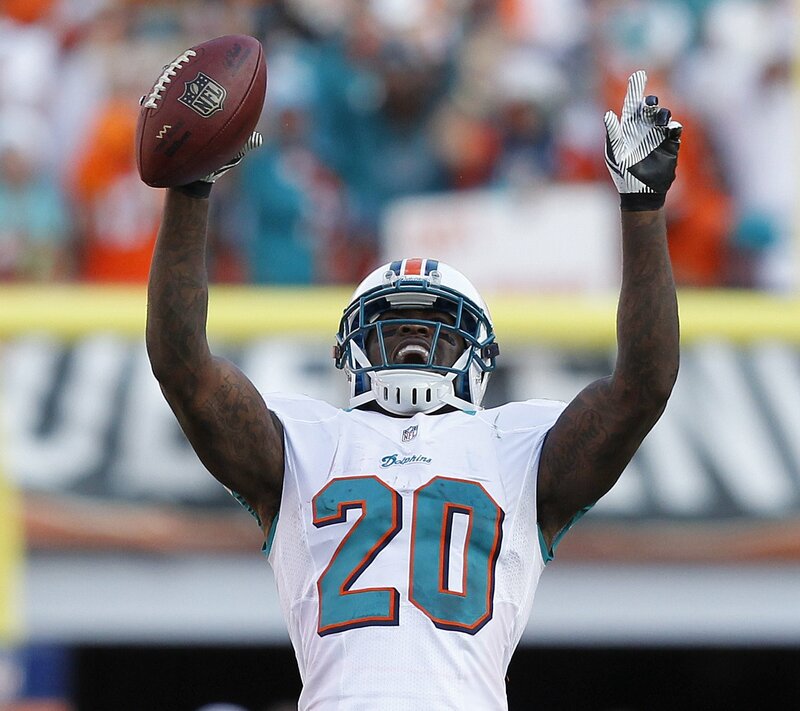 Last season, the Miami Dolphins forced a grand total of 16 turnovers with six coming from safety Reshad Jones. The Dolphins ranked just 28th in the NFL in taking the football away last season. While the Dolphins weren't overly careful with the football themselves last season, the offense was given very few opportunities with a short field which was a big reason why the Dolphins ranked just 27th in scoring a season ago. In the takeaway/giveaway department, Miami was -10. This Dolphins finished 14th in the league in sacks last season with defensive end Cameron Wake finishing fourth in the NFL with 15 sacks. This season, Miami may be even better with the additions of Wheeler and Ellerbee, who replace Karlos Dansby and Kevin Burnett at linebacker. Teamed with Koa Misi, the Dolphins have an excellent trio of linebackers when it comes to rushing the passer. With the third pick in the draft, Miami moved up to take Oregon's defensive end/linebacker hybrid in Dion Jordan. Jordan should excel as a pass rusher in the NFL right away. Opposite Wake last season, Olivier Vernon and Jared Odrick combined for a respectable 8.5 sacks. With strong-armed quarterbacks like Joe Flacco, Matt Ryan, Drew Brees, Ben Roethlisberger on the schedule along with Tom Brady twice, reaching the opponents' backfield needs to become routine for the Dolphins. Since the 2001 season, the New England Patriots have claimed 11 of a possible 12 AFC East titles with the lone exception being 2008 when the Miami Dolphins completed a 10-win turnaround to steal the division. But of late, the Patriots have had their way with Miami. The Patriots have won the last six meetings and 10 of the last 12. Not since a late Dan Carpenter field goal in December of 2009 has Miami topped New England and if the Dolphins want to be a playoff team or take the division title in 2013, they will need to beat the Patriots. The first of two meetings between the teams this season will be in Foxborough on October 27th.